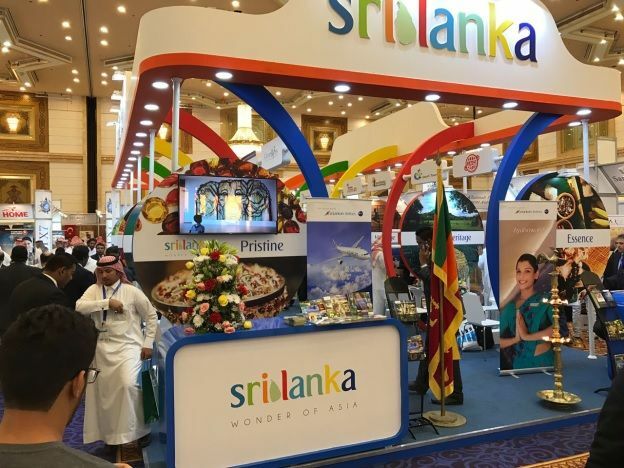 Sri Lanka Tourism showcased its colorful glamour once again at the Jeddah International Travel and Tourism Exhibition (JTTX) which was held from 15th-17th February 2017 at the convention Center – Jeddah Hilton, Saudi Arabia. 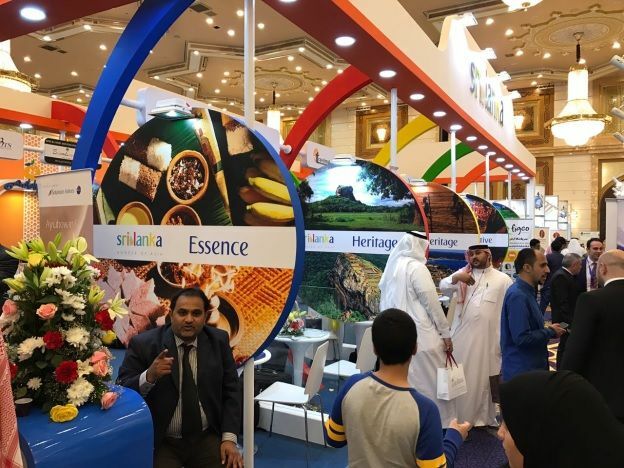 Sri Lanka Tourism participated at this fair with the support of the Sri Lankan Embassy in Jeddah KSA. The opening ceremony was graced by the Deputy mayor of Jeddah, and the acting Consul general, Mr. Suhair. Sri Lanka Tourism was represented by Mr. Ajantha Rathnayake, Assistant Director, Sri Lanka Tourism Promotion Bureau. Jeddah International Travel and Tourism Exhibition (JTTX) is the largest annual professional and Official Exhibition for the Tourism market in KSA which provides global exposure and business and travel opportunities for the tourism sector. Sri Lanka has been a regular member of this event to give Sri Lanka global exposure in the tourism field. Sri Lanka was able to show its full potential as a fast developing tourist destination, and its uniqueness in offering holiday experiences for those who love to explore and have a bit of adventure. 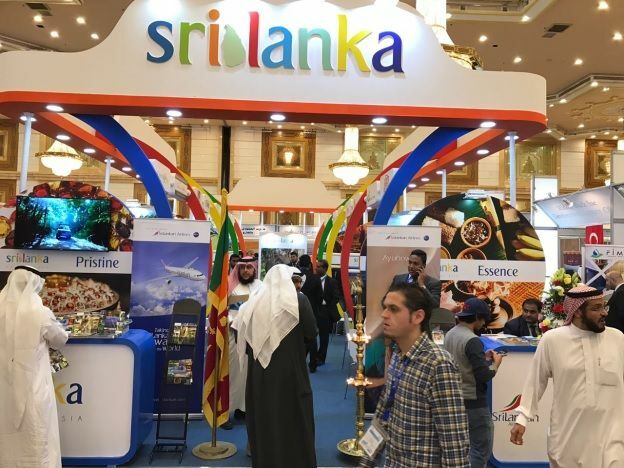 Further, it also created awareness about the Sri Lanka Tourism products, developing contacts with local tour operators who have been dealing with tourists to share their experiences by having one to one meetings, and also using this as an opportunity to promote Sri Lanka Tourism in the Middle East. Obtaining important contacts with journalists, bloggers and other opinion leaders was another opportunity Sri Lanka got by participating at this fair. 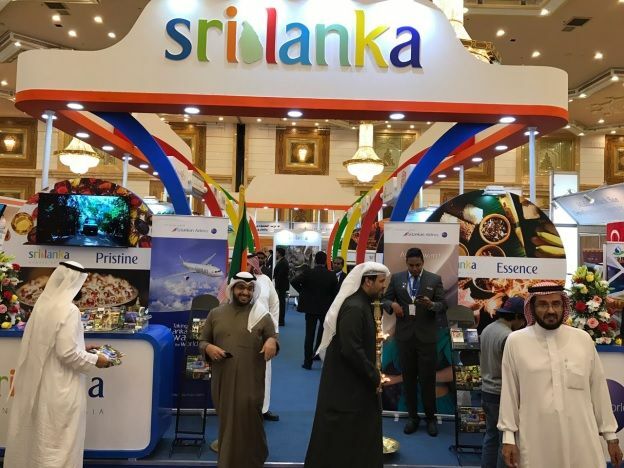 The Sri Lanka Tourism stall drew the attention of many visitors with its attractive and colorful displays, the vivid cultural heritage, wild life, pristine beaches and lush greenery. The stall itself was an explicit example of creativity, with its arched structure, as the visitors explored through each section with wonder of what the paradise island had to offer. Brouchers were distributed to give the tourists a more detailed account of Sri Lanka, enabling them to think of having a holiday with full relaxation, away from the busy life style in the Middle East. In 2016, JTTX attracted over 153 exhibitors from over 18 countries with a total number of visitors of 25,132. The basic purpose of this premier business fair is to promote and increase tourism business and offer promotional activities in KSA. The Middle East by no means an important source market for Sri Lanka’s Tourism sector. Up to December 2016, tourist arrivals from the Middle East was reported as 107,635, which showed a 6.5 increase compared with the same period in 2015.